Bring your favorite television quiz show to your home, or anywhere you want, with this Jeopardy Card Game. Alex might not be included, but with easy to use cards and boards, you can control the categories yourself! With multiple categories such as Shakespeare or world history, you better be well rounded in your knowledge. Prepare yourself as the questions become more and more important as the game goes on. 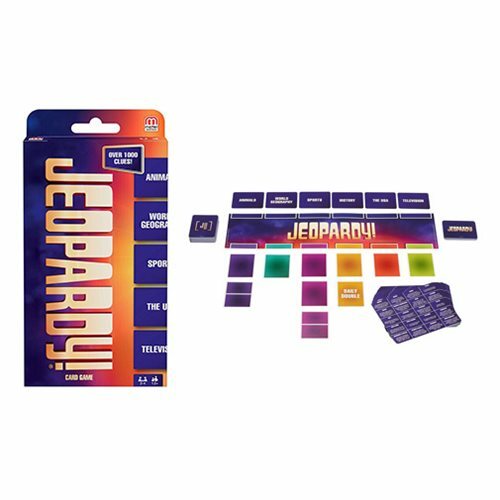 This portable Jeopardy card game includes 56 clue cards, 20 category cards, and 54 game cards. Players 2-4, Ages 12 and up.